What do you get when you cross a cake with a pie? a pake, of course. That is what Stacy – from Lifetime’s TV show “Drop Dead Diva” came up with. She even had a pakery for a while before selling it. 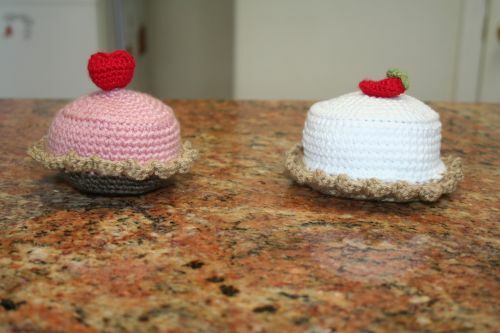 The concept of the pake just begged to be crocheted, so I made two attempts at a pake. The key to the pake is the pie crust bottom. 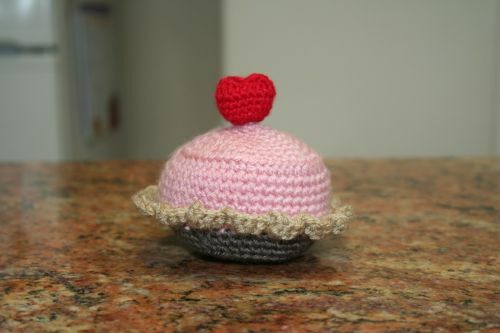 Then the top is more cake-like. So for the bottom I started out with a flat circle and slowly worked out the sides. 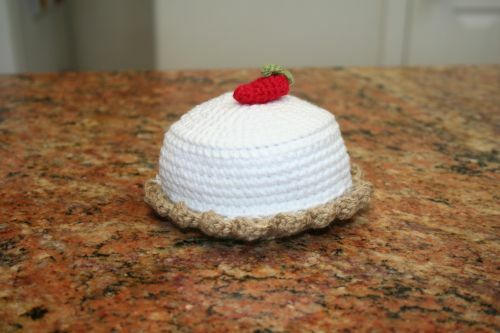 Then I just crocheted a basic circle then made the rows even to get the round cake shape. Put the two together and you get a pake.